“The term ‘indie’ traditionally refers to independent art–music, film, literature, or anything that fits under the broad banner of culture–created outside of the mainstream and without corporate funding.” (Catherine Andrews, journalist). The phrases “outside of the mainstream” and “without corporate funding” are the essence of what makes quality Indie creations viable and vibrant, and allow them to focus on the elements that all Indie media have in common: unusual (or underexplored) settings and unconventional choices of subject matter. I was thinking, on the ten-hour ride from Virginia to Massachusetts last week, that some of the best films I have seen were “Indie,” that is, filmed outside of the Hollywood mainstream, for example Juno (2007, which tackled the taboo subject of teenage pregnancy with humor and grace), Being John Malkevitch (1999, a quirky, off-kilter, and creative play on actor John Malkevitch [who brilliantly self-mocks in this film! ]), and Slumdog Millionaire (a rip-your-heart-out rags-to-riches tale). What these three films have in common is their focus on the not-so-famous, not-so-beautiful, and not-so-accepted members of society. They take a look at big issues through small lenses–and not the lenses most of us would assume. These pictures deal with uncomfortable issues head on (even the humorous ones). So it is with excellent-quality Indie novels. In terms of HF, they tend to stray from the well-trodden paths of certain monarchs, historical periods, or traitorous actions, to name just a few topics. And if they do touch on a well-tread path, they approach it from an unusual angle; one that perhaps the general public may have to think hard about to understand. I don’t know why certain topics appeal to a mass audience, and how trends in the publishing industry are formed–and there is a strong appetite for mainstream fiction, obviously, myself included. I love books about medieval England or France, for example. I love royalty dramas in any period and family sagas that take the reader through the two world wars, but when I want to be intellectually challenged or learn something completely new in my reading, I turn to Indie books. Kumpel by Bob Guess (iUniverse): Almost half a million enemy soldiers were held prisoner in camps across the United States during World War II. 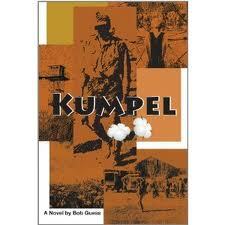 Kumpel (German for buddy) is the story of one such camp; Otto Becker, a German soldier being held there; and a 15-year-old boy who works alongside the German prisoners on a West Texas cotton farm near the prison. Otto’s war has not ended, for each day he must deal with SS Obersturmführer Werner von Hoff man and his Nazi followers who have taken over internal control of the camp. Otto’s days in the fields with the delightfully naïve J.T. Graham (his kumpel) and J.T.’s wacky friend, Beu, are a pleasant reprieve from the violence and intrigue that permeate the prison scene. Murder and suicide ramp up the camp tension making escape the only answer for Otto and his beleaguered prison mates. But to where? 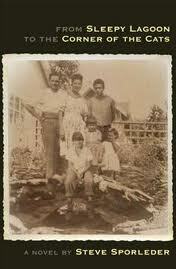 The camp is six hundred miles from the ocean, three hundred from Mexico. Left with the choice of dealing with von Hoffman, waiting out the war in the prison, or setting out onto the vast West Texas plains, Otto turns to his kumpel for help. 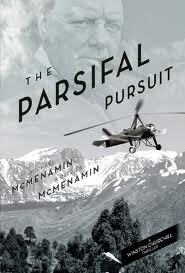 The Parsifal Pursuit by Michael and Patrick McManamin (Enigma Books) is the second installment of this Winston Churchill series. By the spring of 1931 a conspiracy is underway in Germany to assassinate President Hindenburg and restore the Kaiser’s son to the throne, threatening the peace of Europe. At the behest of her godfather Winston Churchill, the adventurous journalist Mattie McGary, a rising star in William Randolph Hearst’s press empire, and her lover, Bourke Cockran Jr., a New York law school professor and former Army counterintelligence agent, get involved. From Sleepy Lagoon to the Corner of the Cats by Steve Sporleder (Robertson Publishing): recounts the saga of four generations of la familia Reyes… we are transported to 1917 when newlyweds Ramon and Monica Reyes flee the Mexican Revolution in search of the “American Dream.” In a defining moment in the 1940s, Miguel “Mickey” Reyes, their teenage son, makes a life-altering decision late one night in the outskirts of the barrios of Los Angeles that forever shapes this family’s destiny—a tragedy that propels the Reyes away from Sleepy Lagoon and north to the quiet and lush town of Los Gatos. She Flew Bombers: From the Factories to the Bases During WW11 by Jean Slone (Walter J. Willey Book Company): A funny, sad and heroic historical fiction about heroine Violet Willey and her colleagues who join the experimental civil service organization, the Women Air Force Service Pilots. All the escapades from meeting the Soviet Night Witches to brushes with death and sabotage are based on fact. These daring young women fight against gender discrimination as they portray a vital role for a nation in crisis. Includes over 25 historical photos. 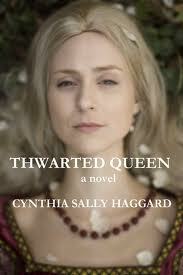 Thwarted Queen by Cynthia Sally Haggard (Spun Stories Press): a portrait of a woman trapped by power, a marriage undone by betrayal, and a King brought down by fear. Unrest in Eden by Florence Byham Weinberg (Twilight Times Books): Fourth volume in a series. Father Ignaz Pfefferkorn, ex-Jesuit, released in January 1778, and destitute after ten years of Spanish imprisonment, begs his way across France to his home in the Rhineland. 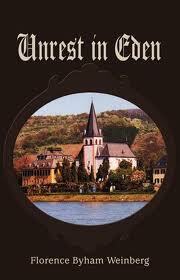 He arrives in Unkel-on-the Rhine to find factional strife and ultimately murder in his hoped-for paradise. He is recruited to solve the crime, aided by unlikely helpers: a wealthy Cologne socialite and a head smuggler. He succeeds, only to find himself caught in the cross-fire of the French Revolutionary Army’s invasion of his homeland. *not-for-profit book awards program; the plot summaries are taken from amazon.com.